Clearly, I’m raising creative children, capable of entertaining themselves. Or at the least, competitive touchers. 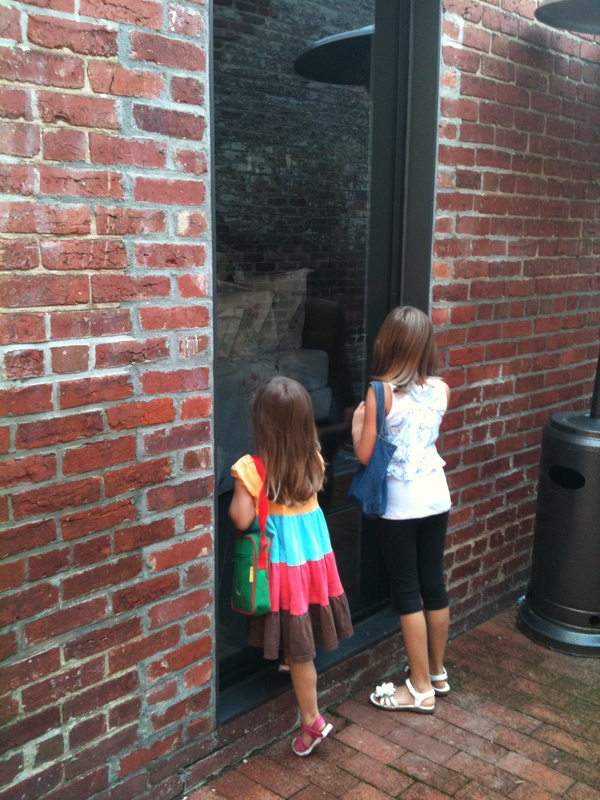 One time they stood at the window of a furniture store arguing about who was going to get which couch and/or loveseat. They verbally tagged each piece as they debated whether cushions count as one choice or multiple claims. As if the only barrier to them acquiring expensive sofas at a boutique store in Georgetown was dibs. A very wise friend recently told me that she thinks some sibling rivalry is good. If you don’t truly care about each other, then why care about the outcome? And if you have to learn hard lessons in life, like the unfairness of not being able to afford $1000 ottomans, isn’t it best to learn it from someone who loves you? If that’s true, then Piper and Sissy in the category of sibling rivalry are clearly overachievers. This entry was posted in Daily Dharma and tagged inventing things to fight about, piperism, sibling rivalry by melissa.scholes.young. Bookmark the permalink.